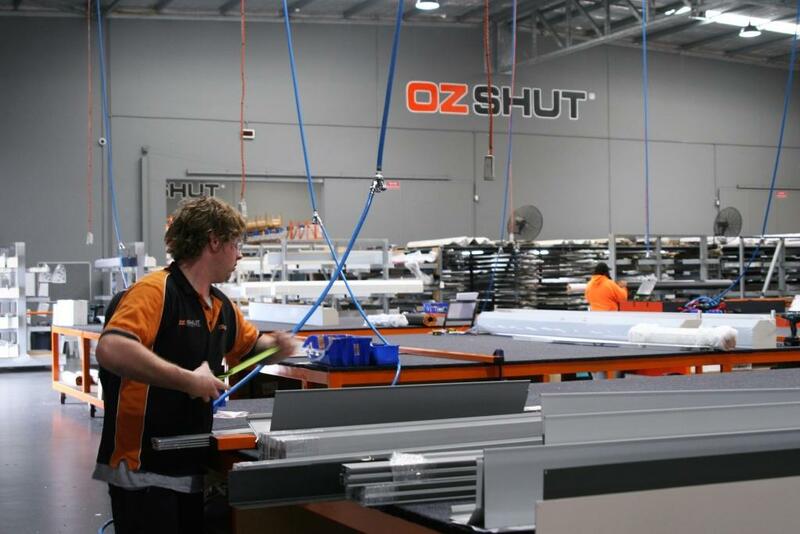 OzShut® Roller Shutters is a West Australian owned and operated company specialising in the manufacture and installation of residential and commercial aluminium window Roller Shutters. We are Perth’s largest Roller Shutter specialist with over 22 years experience in the industry & the largest independent National Dealer of Australian ‘Croci’ products. In fact, every year since trading began in 2006 OzShut® has been awarded “National Dealer of the Year” by our affiliated supply partner Croci Australia. OzShut Roller Shutters are manufactured using only the very highest quality components from ‘Croci’ Australia and European “Enjoy” electric tubular motors from Jolly Motors. There are NO cheap imports! Furthermore, you can have total peace of mind knowing all work done by our fabrication and installation experts is of the highest professional standard. Whilst many Roller Shutter operations have come and gone, OzShut® stands by the high quality of our product and workmanship with a GENUINE 10 year product guarantee, free from loopholes, shortcuts or hidden after sales call out fees (exclusions/conditions apply)***. All OzShut® Roller Shutters are custom designed and made right here at our 1200sqm purpose built production facility in Malaga WA. We keep a constant stock holding in excess of $1 million dollars of Croci Roller Shutter aluminium profiles, extrusions and componentry PLUS in excess of $250,000 of electric tubular motors. OzShut’s fully stocked warehouse is why we lead the Roller Shutter industry with our super fast and efficient service, offering you immediate install in as little as 5 days from your order. With no wait time on interstate or overseas deliveries, our team of qualified, reliable technicians can produce and install hundreds of Roller Shutters weekly. Why not take advantage of our “Ezi-Shut” pay-by-the month option** – with NO INTEREST EVER* and a quick approval process, you can transform the comfort and look of your home today and pay later! Remember, conditions do apply and the facility is available to approved customers only. Read the customer reviews or come and visit our factory to see for yourself exactly why OzShut® is giving so many windows the SHUT! With hundreds of new customers joining the OzShut® family every month it is easy to see why OzShut® Roller Shutters are the WA preferred Roller Shutter experts. * Conditions apply. Date of install confirmed at appointment only. ** Retail service provided by Certegy Ezi-Pay Pty Ltd and to approved customers only. *** A copy of the product guarantee is available for viewing at your quotation and in advance of your purchase. Ask your OzShut® Representative to view the guarantee plus explain all exclusions/conditions. A guarantee document is provided along with an official receipt at the time of installation.